What is a dislocation? Everyone knows, right? A true dislocation of a joint requires the complete separation of the two sides of a joint. What is often called a dislocation is actually a sub-luxation, or partial separation – they still hurt and do damage, but tend to recover faster. This is an example of a shoulder dislocation. It is of a rare type, inferior, (or downwards into the armpit), and is caused by hyperabduction and makes up only 1% to 2% of all dislocations. This is a Luxatio erecta type. So, if it is so rare, why does it matter? Well, it is rare overall, but is relatively common in sporting people who fall! Mountain biking, moto-X, soccer goalkeeping, equestrian sports and skateboarding. If YOU end up in the emergency room with your arm stuck above your head, the chances are that they will not have seen it. The key to relocating this joint is to dislocate it again first…..FORWARD, creating an ANTERIOR dislocation, then a more normal reduction to its proper position. 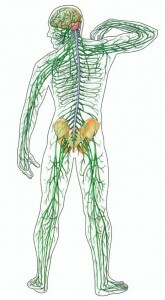 As well as the usual problems associated with dislocations, (AC joint, nerve and blood vessel damage), the inferior type causes damage to the floor of the armpit and can lead to concurrent fractures of the upper arm, AC joint, as well as injury to the nerves, (brachial plexus), or specifically to the axillary artery. Recovery can be slow, even with conventional physical therapies, medication and exercises. You will probably have to start with PASSIVE movements, such as pendulum swinging which you can see if you run the video. Remember that passive means just that – let someone else make the movements for you, (physio,osteopath), or use the weight of a tin of beans or can of coke and your body movements to generate the impetus. Repeat these exercises several times a day and at every opportunity. If you don’t use the range of motion, you may well lose it! Repeat each direction on movement about 30 to 40 times. ie, 30-40 clockwise, anticlockwise, front-to-back, etc. Good luck with your rehab and make use of all the tools available to you; information, professional advice, devices like the Rotater and, most of all, use your imagination. As a result of my earlier fall and subsequent surgery, I have, (perhaps inevitably), taken a more active interest in shoulder problems than I did before. As a result of using an excellent product for shoulder injury rehabilitation called ‘The Rotater‘, I had something of a ‘Victor Kiam’ moment and have become exclusive UK distributor for this product. The Blog for shoulder exercise and rehab articles. The Rotater is used to enhance the process of rehab after surgery and can also be used to improve shoulder mobility that may help your sporting ambitions. Flexibility and improved range of motion, (ROM), for golf, tennis, rugby, baseball, boxing and goalkeeping can all be helped with its regular use. Some of you may have heard that ‘your author’ was foolish enough to fall off his mountain bike while trying to keep fit and keep the expanding waistline manageable. This happened on the 16th December, just before Christmas and just after getting back from holiday – excellent timing! I won’t go into the gory details, but I dislocated my right shoulder and fractured part of the upper arm bone. I can’t fault the Ambulance Service who promptly picked me up from the back of the Downs, but I’m not convinced that ‘gas-n-air’ does more than give you something to do! However, thanks boys for bringing me in, mud and all. Worthing A&E did their sterling best to put things back in place, but sadly failed. My ‘inferior’ dislocation, (and I can tell you it didn’t feel at all inferior at the time), is apparently rare, but the sight of them checking up on the internet before ‘having a go’ was a bit unsettling, as you can imagine. By now I had had my arm above my head for 6 hours and I was prepared to let them try anything. They told me I wouldn’t remember anything! I’d like to have a word with that very enthusiastic chap sometime. Next day,after a good, morphine-induced sleep, I was taken to theatre to have the shoulder back in place, discharged later that day with a promise to screw the detached bits back in a few days. Three weeks later, it was expertly done, leaving me with three shiny screws, a lovely scar and a lot of physio to look forward to. Physio was an experience, I can say. As an osteopath and with a now-long-ago background in the NHS, I did have some apprehensions, but they were completely unjustified. I won’t mention her name so as to avoid embarrassment, (after all, her colleagues might blackball her for treating ‘the enemy’), but I had expert, professional and effective treatment and I like to thinkthat weboth learned somewhat from each other. Weekly treatments for 5 weeks, with lots of self-torture at home meant that I was back at work part-time 6 weeks after surgery. I was also aided by a device that I ordered from the US, called the ‘ Rotater ‘, which proved to be a huge benefit. It is a simple device that gives control to the user and lets you relax the shoulder while in use. It’s is so easy to fight the therapist and ‘cheat’, thinking you are getting more improvement than is real. I was discharged after about 10 weeks post-op and now comes what I think is the really hard part. I and most of my friends and relatives have become bored with the whole thing. It is now, back on my mountain bike, SCUBA diving and working full time again, that it is so easy to stop doing the exercises and stretches – I’m coping OK, aren’t I? Well, yes, but it isn’t better yet and it is easy to avoid doing the things that still hurt or are difficult. Please take my word for it, keep it up – shoulder injuries, including frozen shoulder, sub-acromial impingement problems, rotator cuff tears and dislocations take a long time to really heal – think in terms of at least a year! A group of 4 muscles in each shoulder, named for its vague similarity to a short sleeve shirt cuff. Damage to the cuff may be referred to as rotator or rotater cuff tear, rotater cuff strain or rotator cuff injury. The most likely point of injury is to the tendons of the muscles and can range from microscopic tears to large holes in the cuff. The supraspinatus tendon is the commonest site of tearing. The size of the tear and the amount of pain suffered does not correlate well. Large tears can be seen on scanning that are symptom-free! Rotater cuff tears can happen at any age and may from sporting activities, such as throwing sports, traumatic injuries like dislocations and fractures, but are most common in older age. Degeneration of the tendons, abrasion under the acromio-clavicular joint, (the bony knob on top of your shoulder) and postural problems, (being increasingly round shouldered), are all causes. HOW IS THE ROTATER CUFF INJURED? SO, HOW DANGEROUS IS IT to go windsurfing and kite surfing? Well, a quick search of the internet will throw up various reports of serious and even occasionally fatal events involving, in particular, kitesurfers. However, these events are still rare and are no more frequent than other ‘dangerous or extreme sports’. What sorts of injuries do we, as osteopaths and physiotherapists, see as a result of these now popular sports? Here in Shoreham-by-Sea there is a particularly active group of surfers that range mainly from mid-teens to mid-fifty’s and who spend as much of their free time on the water as they can. Great fun with lots of adrenaline, wonderful exercise and what a way to get away from the mobile and other distractions! However, where there is pleasure there is often pain and these sports are no exception. One of my best friends, who is almost messianic when it comes to windsurfing, tells me that he never has any injuries! Except, that is, for the bruised ribs caused by his harness as he came to a sudden stop recently, the neck strain and stiffness and foot and shin pain from doing too much for too long. This is fairly typical from what I hear at the Adur Osteopathic Clinic and remember that those comments are from an experienced windsurfer! Our Osteopathic and Physiotherapy Practitioners are frequently asked to help with treating injuries sustained while doing water sports such as windsurfing and kitesurfing. NOVICES & LEARNERS typically suffer forearm muscle problems from gripping too hard until they learn to relax as well as shin and foot strains for much the same reasons. Back strains from rigging and up-hauling tend to happen more in the early stages, but no one should be complacent about them as potential risks. As is often the case, prevention is the better path to tread. Take up Pilates to gain core strength and make you fitter before problems start. To ease backache while sailing, try tilting you pelvis back and forth in the quieter moments. Many of these problems can be overcome simply by practice and good coaching in the early days. What are the common injuries in these sports? Where I, as a Registered Osteopath and my colleagues come in is when it goes beyond a ‘bit of a strain’ and becomes a proper injury. Listed below are some of the most common types of injury and where they occur on the body. Irony is quite difficult to define, but there is a form called situational irony and I think I have just become a victim of it. I am now spending my third day recovering from acute low back pain. As an osteopath of 20-odd years, (and a back pain sufferer of over 30 years), I am aware that while my patient patients are expressing their sympathy to my face, what they are really thinking is ‘physician heal thyself’. If only life were like that, eh! “But I just bend over to…….and my back went”. 7:45 AM As it happens, that’s exactly what happened to me! I was ‘just’ walking to work and, out of the blue, my left lower back was suddenly sharply painful. 7:50 AM By the time I actually got to work, the pain was sufficient to make me bend forward at the waist, because if I didn’t, it made me catch my breath. 10:45 AM By coffee time, I was finding it difficult to feel my sympathy for my patients, let alone any empathy. Surely, my pain was much worse than theirs? I had started to tilt over to the right by then and maintaining a professional composure and osteopathically correct posture was starting to look comical. All I wanted to do was get the weight off my feet. A vague but worrying ache had developed over the side of my left leg and into my groin. How am I going to work? What about my desperate patients? What about the credit crunch? 12:45 PM Time to cancel the afternoon list. Pass that task on to the staff and let them take the flack. Now I can now hardly stand or put weight through my left leg. 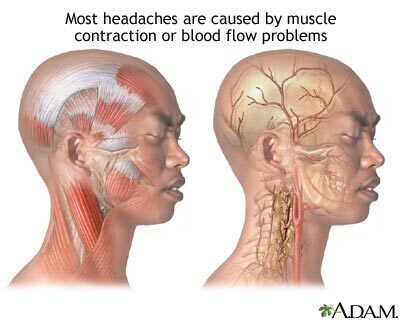 Here at the Adur Osteopathic Clinic, the Osteopathic and Physiotherapy Practitioners are frequently asked to help with treating the symptoms of Cluster Headaches. This name might sound almost ‘cosy’; you know, collected together, cuddly and supportive! 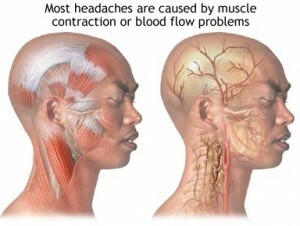 However, this type of headache, (often wrongly called cluster migraine), is probably the most painful of them all. Sufferers describe absolute desperation and even suicidal feelings when enduring attacks. In my experience, the pain can even change the personality to the extent that normally patient, pleasant people can say the most awful things to their partners or anyone else nearby. If you are on the sharp end of the comments, cut them a little slack, please! What type of person visits the Adur Osteopathic Clinic for advice on migraine? It can be anyone, male or female, from children to the elderly. Please note that migraine in children may not show as a headache and is often termed Abdominal Migraine, with symptoms including nausea, vomiting and loss of appetite and lasting anything from 1 to 72 hours. The Osteopaths & Physiotherapist at the Adur Osteopathic Clinic see patients with all sorts of aches and pains. One very common symptom that presents to us is heel pain. This very painful condition is often caused by a condition called Plantar fasciitis, (also known as Policeman’s Heel or Heel Spur), and can really affect a persons work, sporting and social life.